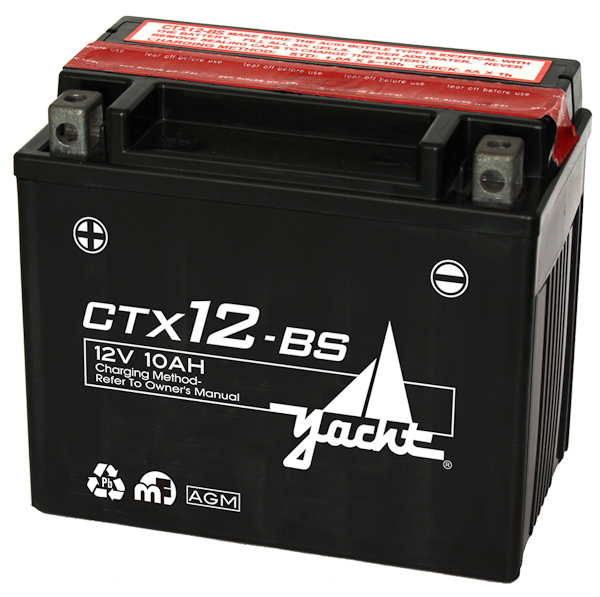 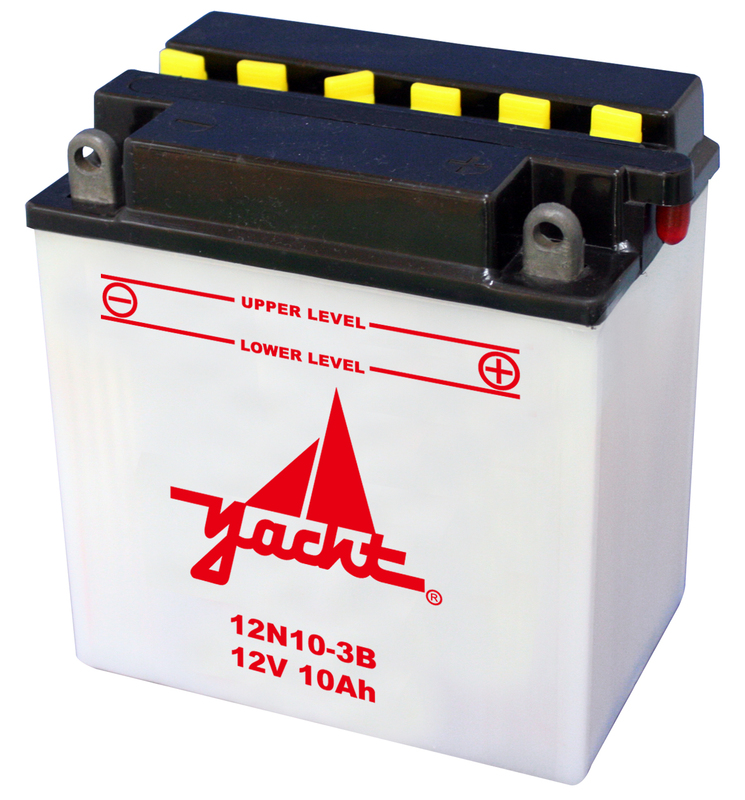 The Yacht CTZ14L-BS 12 volt battery for your motorcycle is sure to help restart your powersport product including motorcycles, ATV, UTV, and PWC. 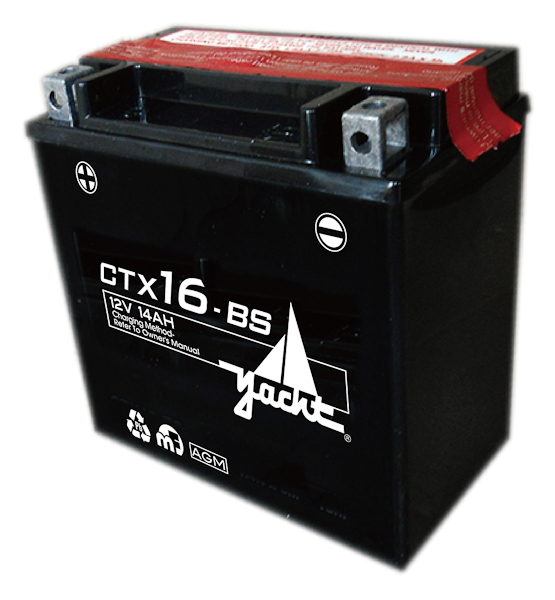 We’re sure to beat the competition when it comes to quality and we’ll replace your battery for up to a year with our free warranty. 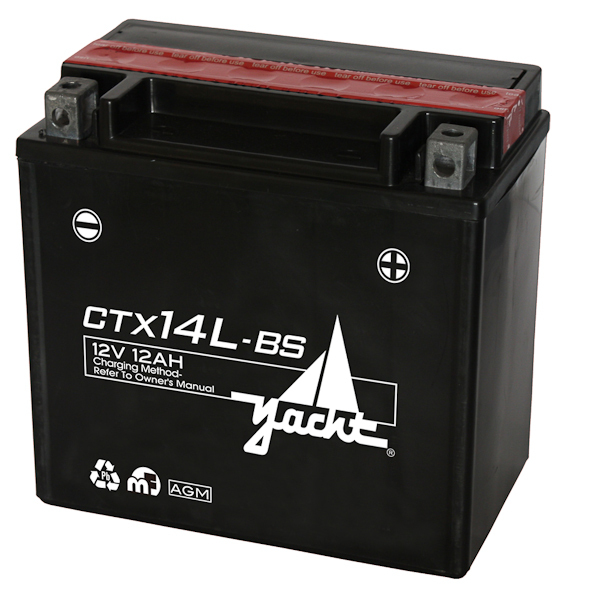 Buy yours online or in store today.